Camille couldn't be having a better summer. But on the very night she learns she got into a prestigious theater program, she also finds out she's pregnant. She definitely can't tell her parents. And her best friend, Bea, doesn't agree with the decision Camille has made. Camille is forced to try to solve her problem alone . . . and the system is very much working against her. At her most vulnerable, Camille reaches out to Annabelle Ponsonby, a girl she only barely knows from the theater. Happily, Annabelle agrees to drive her wherever she needs to go. And in a last-minute change of heart, Bea decides to come with. 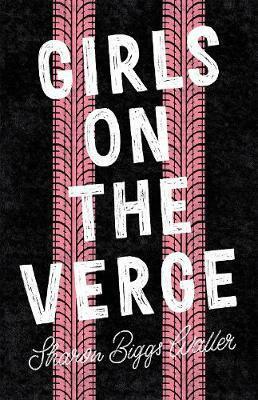 Girls on the Verge is an incredibly timely novel about a woman's right to choose. Sharon Biggs Waller brings to life a narrative that has to continue to fight for its right to be told, and honored. Sharon Biggs Waller is the Friends of American Writers-award winning author of A Mad, Wicked Folly and The Forbidden Orchid. She also writes for magazines about horses, chickens, and farming. Previously, she worked as a riding instructor at the Royal Mews in Buckingham Palace. In addition to writing, she is a dressage rider and trainer and Planned Parenthood volunteer. She lives on a ten-acre sustainable farm in Northwest Indiana with her husband, Mark.